You say “po-tay-to,” I say “po-tah-to.” You say “hard-boiled egg,” I say “denatured proteins encased in an ovoid container composed largely of calcium carbonate.” Let’s call the whole thing off. Or rather, let’s not, just for the moment. Many years ago, when I foolishly (and incorrectly, as it turned out) believed I could balance a Chem major with a second one in Political Science, managing the campus radio station, editing the Editorial page of the campus newspaper, and engineering an entirely unsatisfactory love life, I had a moment of epiphany. Most of the lab experiments we undertook were colloquially referred to as “recipes,” and it occurred to me that “recipes” — the ones I had gathered from family and friends for use in the kitchen — were little science experiments. I know, friggin’ duh. Next I’ll be telling you about water being wet. When people say “a lot of love went into that recipe,” it usually means, “the cook spent a whole mess of time getting it right, and she can reproduce through sheer muscle memory processes that I (a newbie trying to imitate the outcome) am unable to replicate.” In our mashed-potato-bud-flakes culture, any skill that cannot be mastered in the time it takes to microwave a bag of popcorn is just too darn hard, so we might as well ascribe some mystical attribute to the perfectly cloudlike soufflé rather than admit that your grandma, or Wolfgang Puck, or Eddie down the block, is just better at following directions than you are. After all, when we prepare food, we generally do one or more of three things: We heat it. We cool it. We mix things with other things. And in performing some combination of those processes, we change the chemical composition of the ingredients at the molecular level. Voilà! Science. 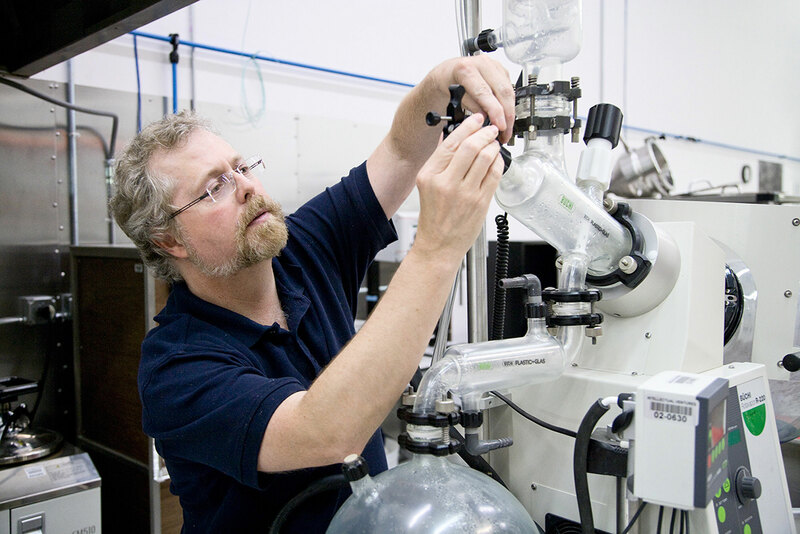 If that picture isn’t the archetypal image of a Scientist Doing Serious Science, I don’t know what is. Oh, wait — he isn’t wearing a lab coat. Nonetheless, he’s something of a polymath, having started college at 14, and breezed through a master’s degree in mathematical economics and a Ph.D in theoretical and mathematical physics from Princeton and a post-doc fellowship with Stephen Hawking at Cambridge before being named Chief Technology Officer at Microsoft. He has also competed on a team that won first place in multiple categories (as well as being named best team overall) at the 1991 World Championship of Barbecue. And here we have that moment of interfacial polymerization, where the two seemingly disjoint circles in the Venn diagram overlap, and magic happens. After having left Microsoft, Myhrvold had enough time to pursue his passion for cooking. Setting aside for a moment the fact that he haunted kitchens like some Phantom of the Spatula, turning up in local Seattle joints as well as Michelin-starred outfits abroad, Myhrvold brought a special piece to the puzzle: money. Much as when Walt Disney was unsure of the eventual success of Disneyland (saying, apparently apocryphally, that even if he landed on his face, he was at least falling forward), Myhrvold wasn’t sure if an audience beyond a couple dozen existed for his $500+ set, but he (like Walt) had resources at his disposal to see his dream through to fruition. Suffice it to say that both ventures exceed initial projections wildly, though we oughtn’t expect to see a Pirates of the Portabello ride any time soon. 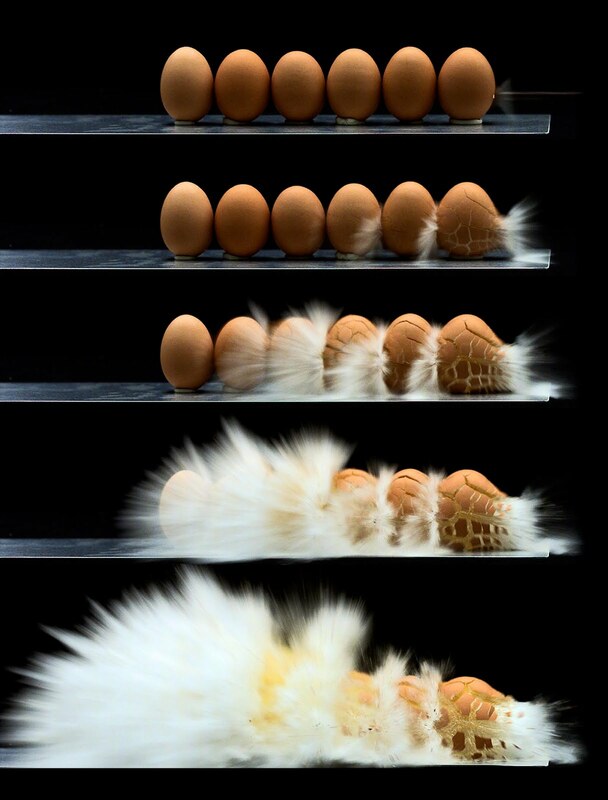 Yeah, you could cook eggs with a bullet, but it would be dangerous, probably illegal, and very messy. As anyone who has read the blog previously — or even the first part of this post — can clearly ascertain, I’m a geek. I’m fascinated with the idea of working with liquid nitrogen in the kitchen, though if The Bride caught me doing so, she’d probably conk me one with the frying pan. Granite counters, after all, are not cheap. 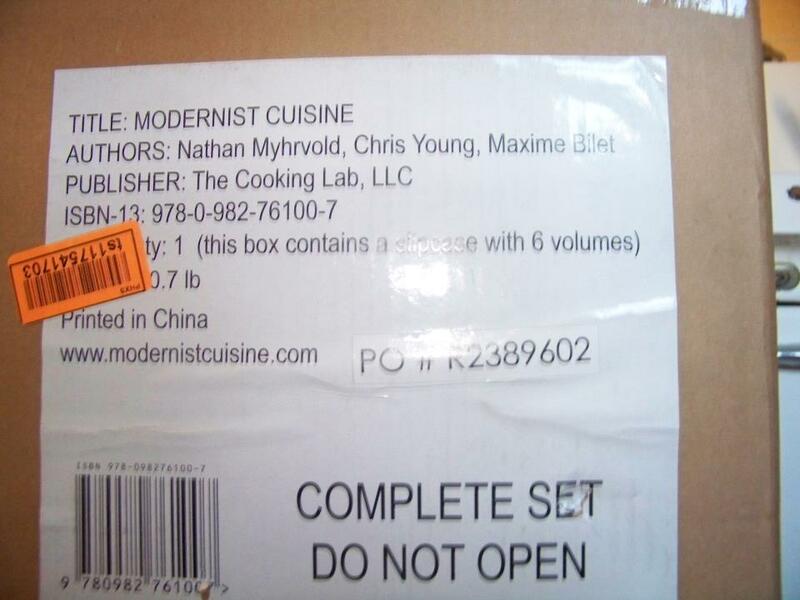 Many of the ideas and techniques enumerated in Modernist Cuisine will, alas, never make their way to my kitchen. But many of them will. 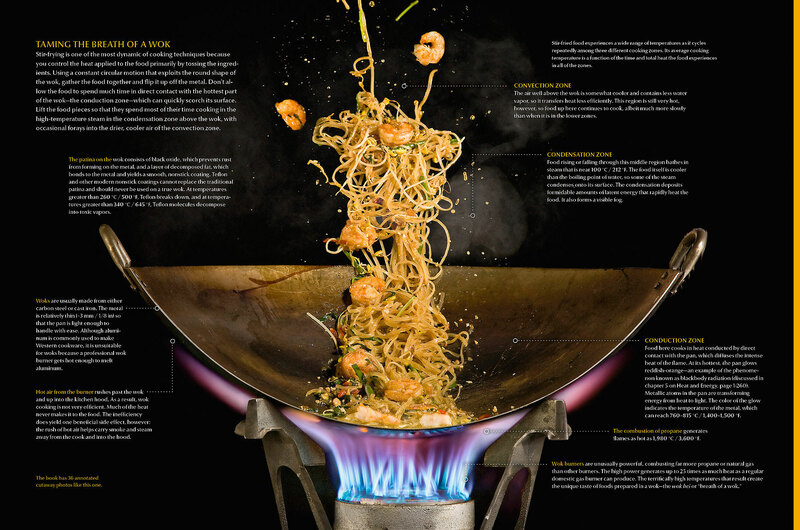 As a for instance, his explanation of how a wok works has enhanced my stir-fry mojo. The workings of the wok. 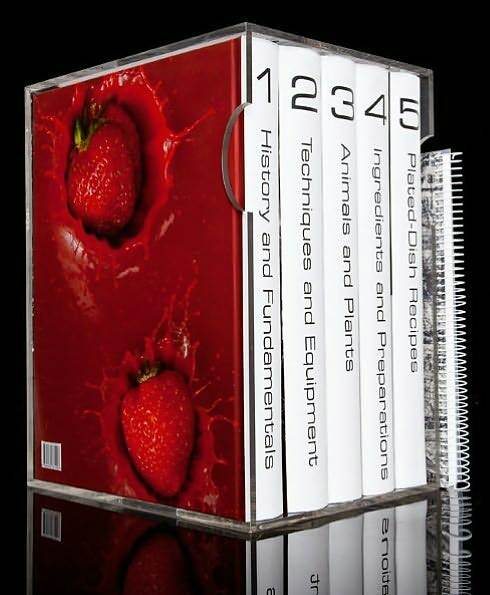 For those who are less geeky, more thrifty, or would merely like to jump in at the shallow end of the kitchen science pool, Myhrvold and company have distilled the Modernist Cuisine monolith into a handy, single-volume set called Modernist Cuisine at Home. I haven’t read it (yet), but I’m given to understand that it contains more than 400 new recipes, and while pricy (it runs about $115, or the approximate cost of 3-4 cookbooks), I’m sure anyone so inclined will find it well worth the purchase price, given its lineage. 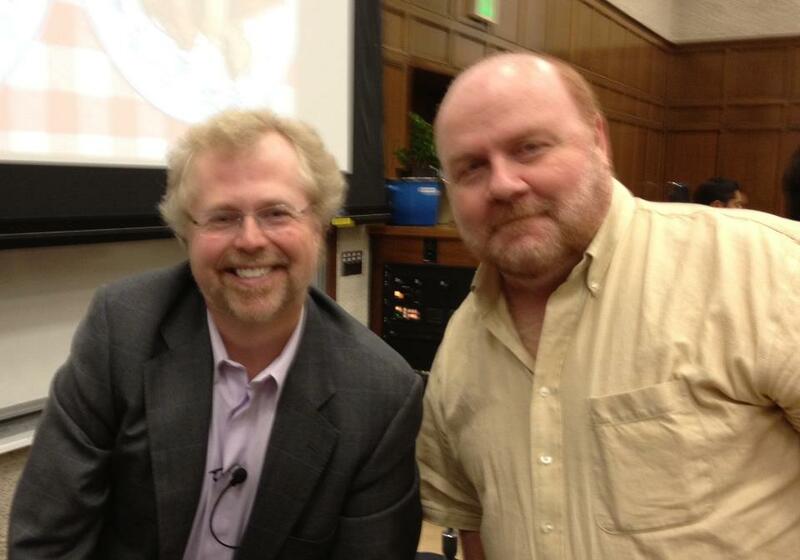 Geek-o and The Man, or, more appropriately, The Man and Geek-o. Gotta give props here to two folks who taught me two very valuable lessons. My late grandmother, who taught me that the kitchen isn’t a scary place. And my former chemistry professor, the late Nobel laureate F. Sherwood Rowland, who taught me that the lab isn’t a scary place, either. In Myhrvold’s Modernist Cuisine, he’s fused those two concepts in a way that would make my mentors — and no doubt his — proud. Note: Only the first and last photographs in this blog post are original; all others are ©Modernist Cuisine, LLC.